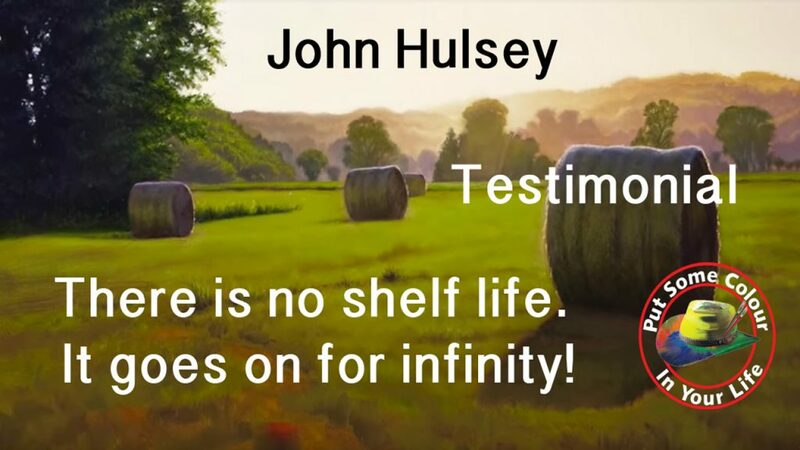 John Hulsey was interviewed by Colour In Your Life with his episode going live on December 13. John was very happy with the results and felt he has become part of a new and wonderful artists community with Colour in Your Life. He explains how he thinks that the show is far better value than magazine advertising and is particularly using it to raise awareness for his workshops. Read more why video is king in this article. June 9 to 15, 2019, Abiquiu, New Mexico, plein air oil. I supply all paint. July 11-13, 2019, 3 Day Painting Knife Workshop, Jack Richeson and Co., Wisconsin. September 15 to 20, 2019, The Susan K. Black Foundation, Dubois, Wyoming. Plein Air Watercolor and Oil. October 6 to 12, 2019, St. Remy and Provence, France, Plein Air Watercolor. October 14 to 20, 2019, Tuscany, Italy, Plein Air Watercolor. So many people think that we are trying to scam them. They think that this kind of potential can’t possibly be true. So, in signing off, again, we’d love to hear from you, or an artist friend you recommend.